Hillary Clinton Urges Europe To Curb Immigration As Far-Right Populists Are Using The Issue To Seize Power - Joe.My.God. 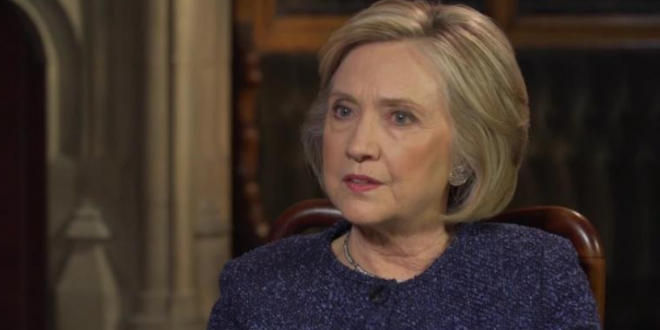 Europe must get a handle on immigration to combat a growing threat from right wing populists, Hillary Clinton has said, calling on the continent’s leaders to send out a stronger signal showing they are “not going to be able to continue to provide refuge and support”. Mrs. Clinton’s remarks to The Guardian drew criticism and a dose of surprise from an array of scholars, immigration advocates and pundits on both the left and the right, some of whom were so perplexed by the comments that they wondered aloud whether Mrs. Clinton had perhaps misspoken. Mrs. Clinton, many said, has a long history of supporting refugees — a track record seemingly at odds with her recent remarks. Her immigration platform in the 2016 presidential election boasted that “we embrace immigrants, not denigrate them.” A spokesman for Mrs. Clinton did not immediately reply to an email seeking comment on Thursday night. To liberals in Europe, Mrs. Clinton’s advice may have seemed belated as the continent continues its conservative tilt; but it was right on time for the rising populists, who seized on her remarks as they seek to revive a fading and highly effective issue.